Lionel Messi is the icing on Barcelona's cake, Inter Milan coach Luciano Spalletti said on Monday (Nov 5) on the eve of the Champions League Group B game between the two teams. Messi could make an earlier return than expected against Inter Milan in the San Siro on Tuesday after breaking his arm on Oct 20, but the Catalans have shown some of their strongest form in his absence. "Messi is the icing on the cake. His is the shirt that children who dream of being footballers ask for," said Spalletti, "but Barcelona have shown that even without him, they still have the mentality to develop their game, which is what makes the difference. "It's a worry for anyone if Messi plays, but the attitude doesn't change. "We're facing one of the strongest clubs in the world in any case. We need to be better in our reading of the game, but we're going to mark space, not men." Barcelona are top of Group B with maximum points from three games ahead of Inter Milan who lost 2-0 in Spain. 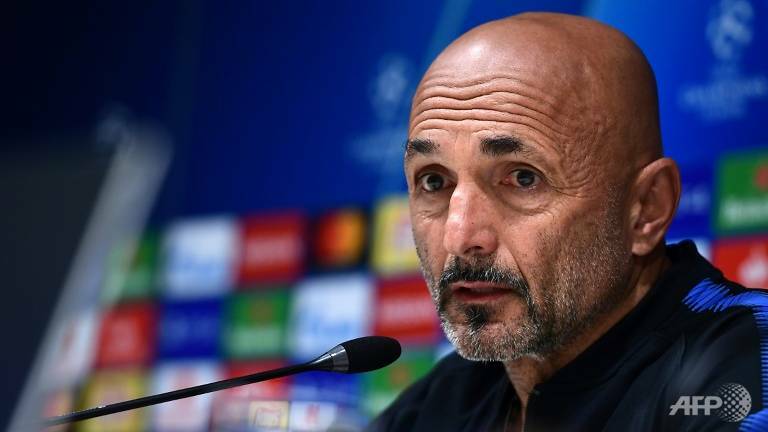 "It's the right time to show what we're worth," said Spalletti, whose side are coming off a seven-match winning streak in Serie A in which they are in second place, three points behind champions Juventus. "We've always said we can play against anyone, and that still holds true. "The latest results reinforce that and this will be a good opportunity to see if we really can play on a par with Barcelona, who represent the highest level of difficulty in football. "In the first game we weren't able to keep the ball after winning it back, which meant we couldn't reverse the trend of the game." Belgium midfielder Radja Nainggolan could return after missing the first leg with an ankle injury after coming on to score in a 5-0 win over Genoa at the weekend. "He has to be evaluated. We'll know more after training," added the Inter coach.